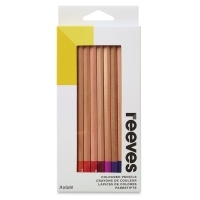 Reeves Colored Pencils come in a range of brilliant colors and a variety of sets. 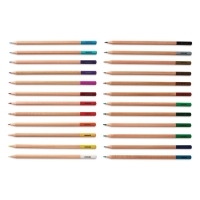 Features include excellent laydown and ease of blending, for creating a wide variety of shades. 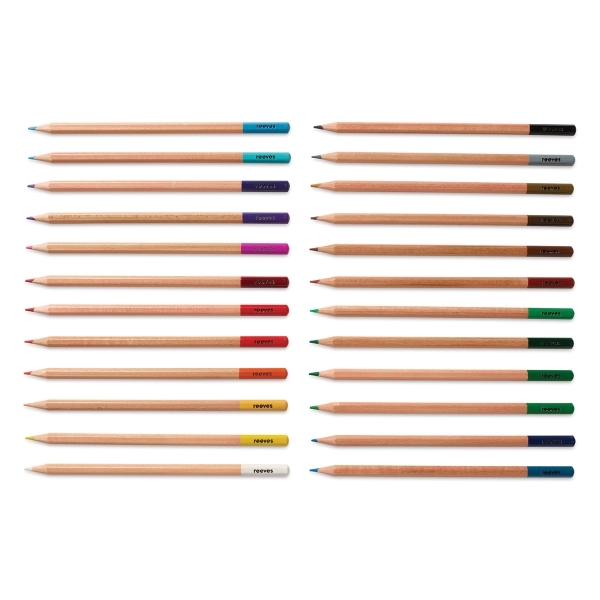 Their hexagonal shape is perfect for the beginning artist. 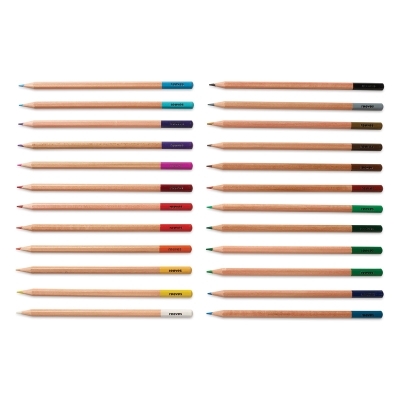 The pencils are pre-sharpened. Includes the colors from the set of 12, plus Light Red, Burnt Orange, Canary Yellow, Light Blue Green, Blue Violet, Silver, Gold, Raw Sienna, Burnt Sienna, Raw Umber, Burnt Umber, and Bronze.